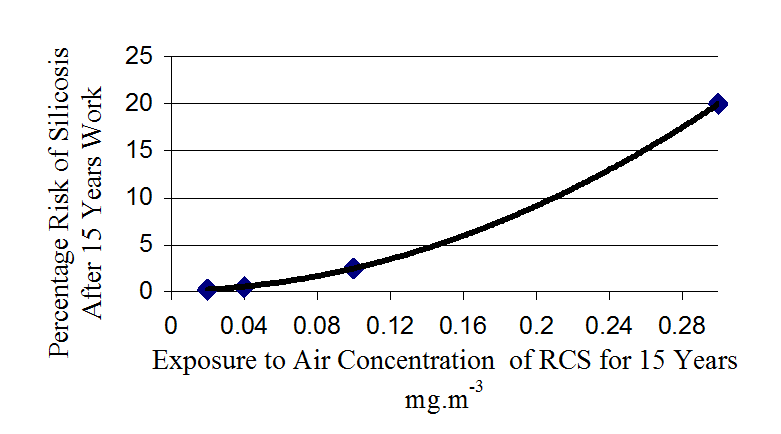 In a previous post I discussed the health risks associated with exposure to the fume generated during soldering with rosin cored solder. It’s a respiratory sensitiser, and is one of the main causes of occupational asthma in Great Britain. The fume is generated due to thermal degradation of the flux – usually containing colophony (also known as rosin), which is manufactured from pine resin, and is usually contained within the soldering wire (rosin cored solder. The flux is needed to prevent oxidation of components, remove contaminants from the surface of the components, and reduce the surface tension of the molten solder. 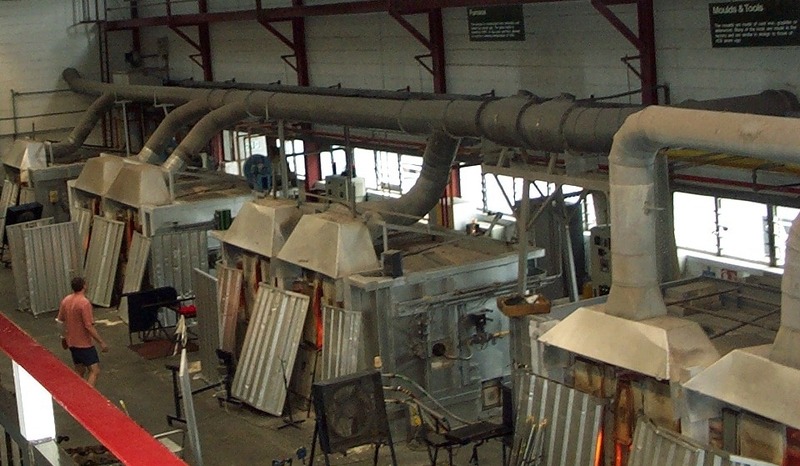 When heated during soldering it vapourises and condenses into fine particles, which form the fume which is usually clearly visible as a white smoke. Thermal degradation of the colophony also generates irritant gases. In an ideal world we would try to eliminate the risk by using an alternative, rosin free flux. However, this is difficult in practice and most alternatives I’ve come across still generate harmful fume. 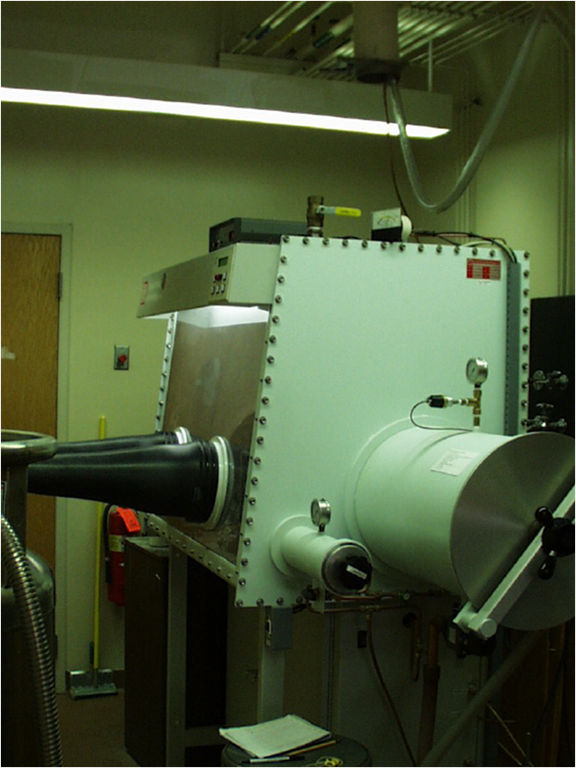 The amount of fume can be reduced by controlling the soldering temperature. However some fume will still be evolved. So local exhaust ventilation is likely to be needed to minimise the risk to health whenever soldering is being undertaken. One of the most common type of of extraction system used in workplaces where soldering takes place is the flexible arm captor hood. As I’ve described in a previous post, the problem with external captor hoods like this is that airflow drops off very rapidly with distance from the face of the hood. 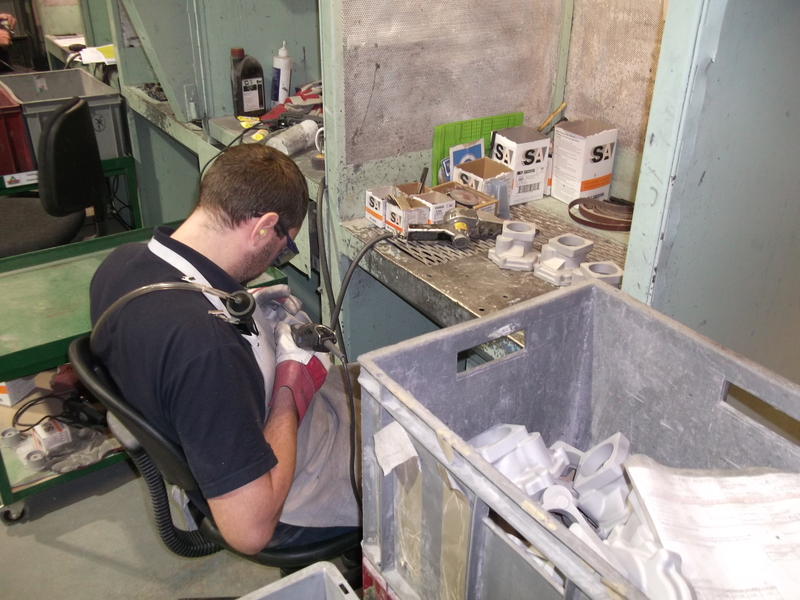 Positioning is crucial, particularly with solder fume which is hot and rises in a narrow plume before dispersing. 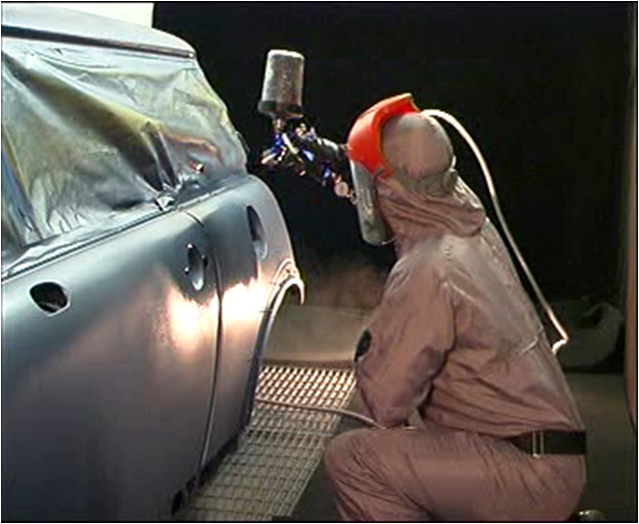 Operators tend to position the hoods too far away from the source as moving them close enough would obstruct and interfere with their work. Also, any ambient air movement in the workplace can disrupt the airflow from the extraction, further reducing their ability to capture the fume. 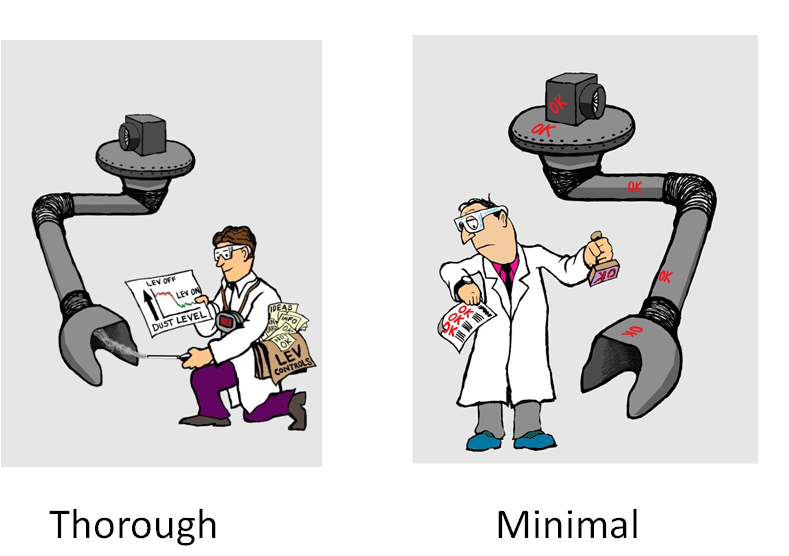 Consequently, this type of system is usually ineffective at controlling exposure. Another common approach is to install a low volume high velocity (LVHV) system. 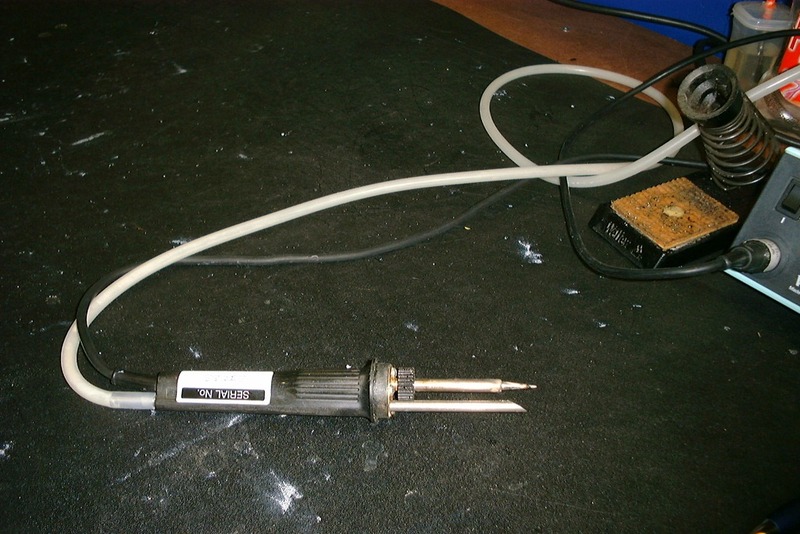 Here, a small metal tube is attached to the soldering iron, the idea being to capture the fume close to source. The metal tube is then connected to extract ducting via flexible plastic tubing. In principal this should be much more effective then using the flexible arm hoods. However, there are a couple of problems which often render these ineffective. 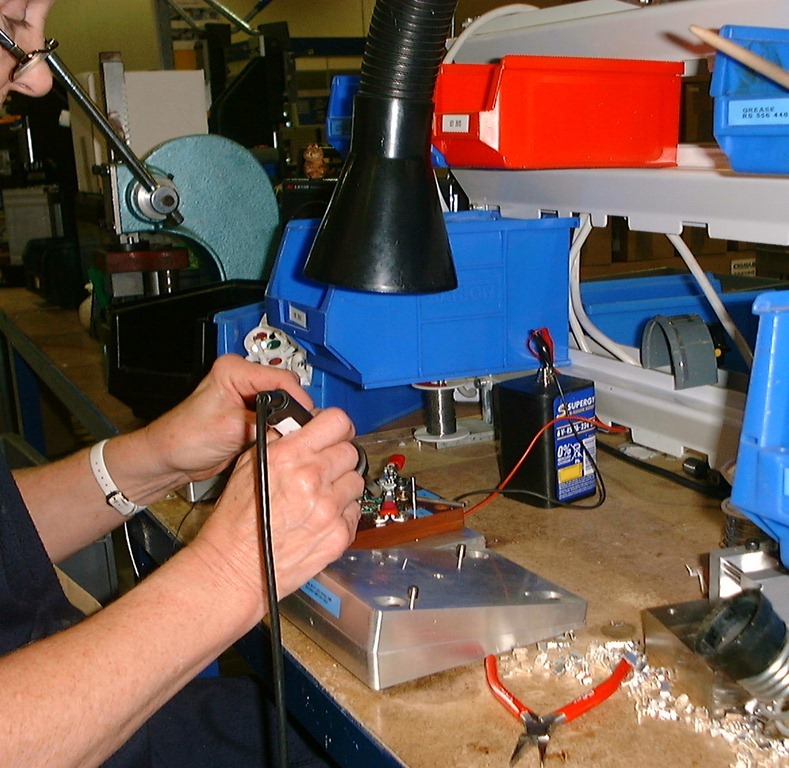 First of all operators rarely position the tube close enough to the tip of the soldering iron where the fume is generated, pleading that the tubes “gets in the way of the work”. Secondly, fume that is captured condenses out inside the metal tube and the associated plastic tubing. Unless these are cleaned out very regularly (and, in my experience, this rarely happens) airflow is seriously restricted, significantly reducing the capture velocity and the degree of control. Whenever local exhaust ventilation is being applied to attempt to control exposure to airborne contaminants, the best type of hood will usually be a partial enclosure which contains the source. In that case the contaminant doesn’t have to be captured – it is generated within the hood. If sufficient airflow is provided to draw the contaminant away, and prevent it escaping from inside the hood, there is a good chance that effective control will be achieved. In the past, this approach has not typically been applied to soldering. However one company, working in conjunction with Health and safety Executive Inspectors, has developed such a solution. 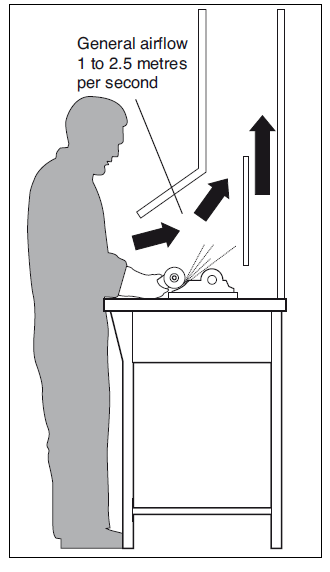 Here, the booth is large enough to contain the work, without interfering with the task. It is constructed of transparent material, so the operator can clearly see what she is doing, while presenting a barrier between the fume and her “breathing zone”. The enclosure also minimises local air turbulence and draughts so that the solder fume rises within the enclosure, relatively undisturbed, and is then captured by the extraction, preventing the operator being exposed to the fume. This type of hood is by far the most effective way of controlling exposure to solder fume and really needs to become the standard approach for the electronics industry. 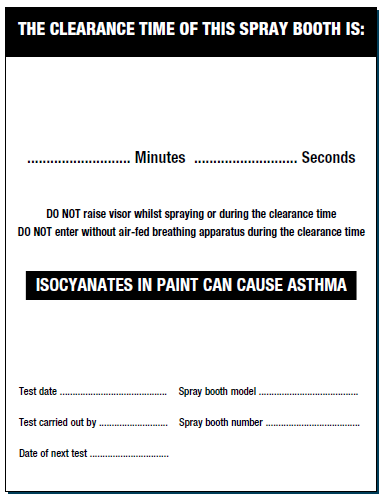 It is recommended by the HSE in their COSHH Essentials Control Sheet for soldering. Unfortunately employers tend to be quite conservative. Systems with captor hoods have been widely used for many years and it is not easy to convince employers that they’re not the most appropriate approach – particularly when they’ve spent a lot of money purchasing and installing them. 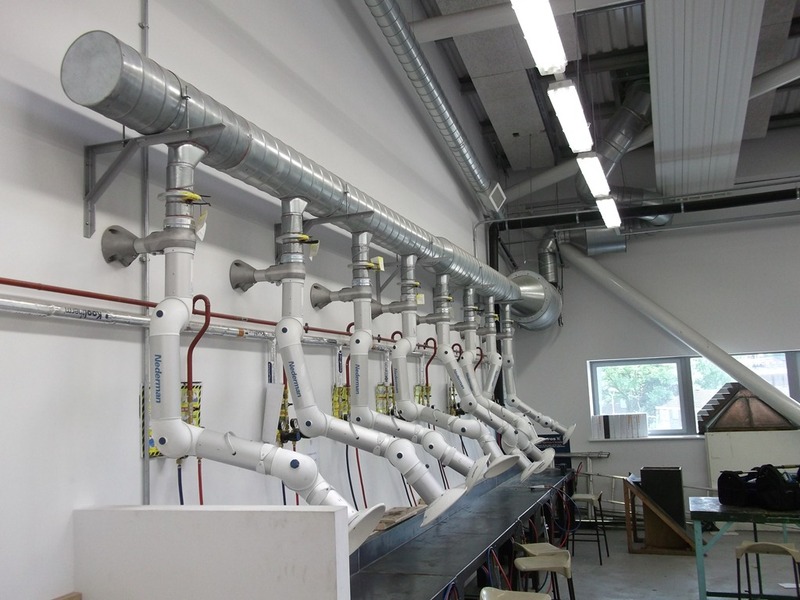 Local exhaust ventilation (LEV) is one of the main measures used to control worker exposure to hazardous substances. It’s difficult to work out exactly how many systems there are in Britain, but the Health and Safety Executive carried out some research in 2006 and estimated that there were between 260,000 and 330,000 businesses that have LEV. Now some of these will be small organisations who will only have installed one system but many others will have several systems in place. So, if the HSE’s estimates are still valid, the total number of systems could be approaching half a million. As with any engineering control (or other plant and equipment for that matter), if LEV is to work effectively it must be well designed and than managed properly. Many suppliers fail to consider the nature of the process and the behaviour of the contaminants when designing extraction hoods. Proper commissioning is rarely undertaken. 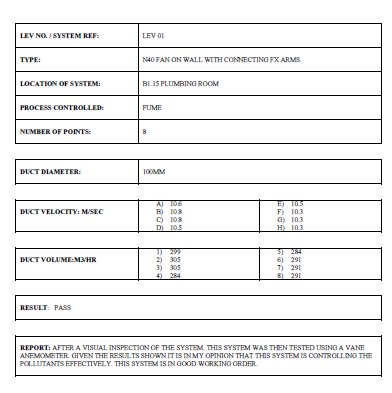 Most suppliers don’t provide detailed instructions and other information needed by the client on use, maintenance and testing. Once systems are installed many companies don’t carry out planned routine maintenance and testing. Where testing is carried out it normally only comprises an annual “thorough examination and test” with no interim checks on condition or performance. The standard of the “thorough examination and test” is often poor. Many testing companies only carry out flow and pressure measurements and do not evaluate the effectiveness of the system at controlling the contaminants. The HSE recognised these problems and, following extensive stakeholder consultation, published updated guidance in HSG258 Controlling airborne contaminants at work: A guide to local exhaust ventilation. I’ve uploaded a presentation to Slideshare about “Effective design and management of LEV” which summarises many of the key points from HSG258. To attempt to improve awareness of good practice amongst managers a new one day BOHS Approved course – Practical Management of LEV Controls has been developed in conjunction with HSE. We’re going to be running it on 15th September 2011 in Chester. Cost £195.00 plus VAT per delegate (includes course documents, lecture fees and lunch). The above presentation gives a flavour of the course content.